Customer service and satisfaction should be one of the primary focuses of any business. Happy customers = better reviews, recommendations, less time sorting issues out and keeping customers rather than fighting to make new ones. But how do you know when customers are satisfied (or not)? Many businesses simply wait for bad reviews. They may check social media or emails and see nothing. No news is good news, right? The problem with waiting for bad reviews is that many people will not pass over their opinions of your business unless prompted. They’re busy people themselves. Only when something has gone really wrong, will they take the time to visit your website or social media channels to post something. That can be a bit disheartening, because you may only see bad reviews. Where are all the good comments? Well, you have to go out and find them. Asking your customers to complete a customer satisfaction survey enables you to glimpse into the mind of your customers. You can see where you’re going wrong, where you’re going right and this can help you make better, more informed choices in the future. Perhaps one customer has a really good idea for a new feature. Maybe a few are facing the same little problems or bugs. Asking all your customers what they think will enable you to see patterns more clearly. E.g. if everyone’s asking for the same thing, maybe it’s time to just go ahead and give it to them. You know you need to ask your customers some questions, but may be wondering what some good survey questions to ask are. In today's post, we'll be listing some good sample survey questions around customer service and experience. You may not want to use all of them (shorter surveys are more likely to be filled in), but here are some ideas to get you going. Recommendations are invaluable to a business. So, it's important to know whether you're meeting customer needs enough for them to recommend someone they know. What words would you use to describe our service? With this, you can either leave it open-ended or give them a few options. A multiple choice one is more likely to get a response, but it's also possible that leading questions don't quite capture what the customer really feels. This gives you the chance to get some positive feedback. It’s important to know what you’re getting right because it gives an insight into your customers’ thoughts and needs. Build on what you're good at and use that as your selling point, if you're not already. What are your favorite features/services? On a similar note to the previous question, this gives you the chance to get some more specific feedback. Knowing what your strongest points are can help you direct your focus on them. It's perhaps even more important to know where you're going wrong. This question can help you pinpoint your areas for improvement so you can get to work on them. It can also turn what could become negative reviews into something more useful. If unhappy customers feel like they're being heard by you directly, they'll be less likely to take to social media. How well does our service meet your needs? Questions like this are usually offered a multiple choice of "Very Well, Well, Neutral, Poorly, Very Badly" so that it's easier to get a quantitative figure of how many people are happy or unhappy. If you do regular surveys, it's a good idea to have a target in mind for next time around. If your satisfaction scores improve, you know you're doing something right. Offering solid support is important to keep customers happy, so it's important to know how you're doing. You could do a multiple choice here, with the option to leave a comment also so you can find out more details if people want to give them. What feature/service would you like to see next? This one is really useful for software companies or those looking to expand their services. Knowing what customers want to see next will help you meet needs and expectations a lot faster. It also looks good when you follow up with the very service/feature they've asked for. This shows customers you're really listening and taking their ideas on board. Everyone wants to feel like their voice is being heard. How much value for money do you believe our product/service is? Another multiple choice question that could go a long way in understanding how much value people get from your product or service. If people feel it's not good value for money, this could be a reason for a dwindling customer list. You can then focus specifically on developing the value of your product or service, or revisiting your pricing structure. This section is handy because it gives the customer free reign to express their thoughts on your business and the service they receive. Customers need to know that they will be heard and only using simple yes or no answers will never quite capture people’s thoughts authentically. However, open-ended questions take more effort to answer. So, try to limit the amount of these types of questions to no more than two or three. 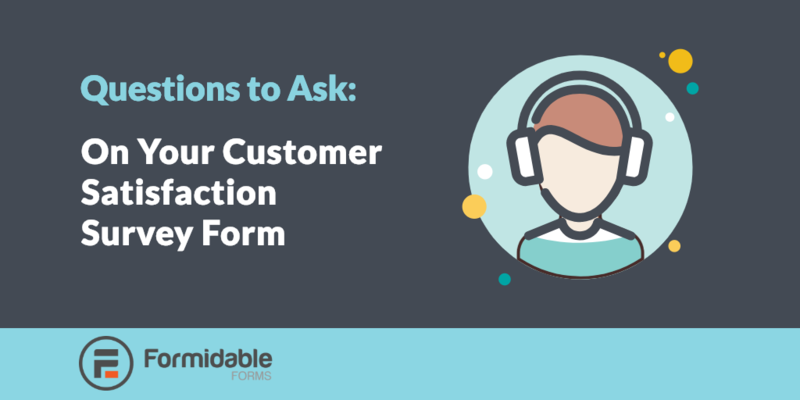 Take a look at our blog post for more tips on how to create a customer survey form.